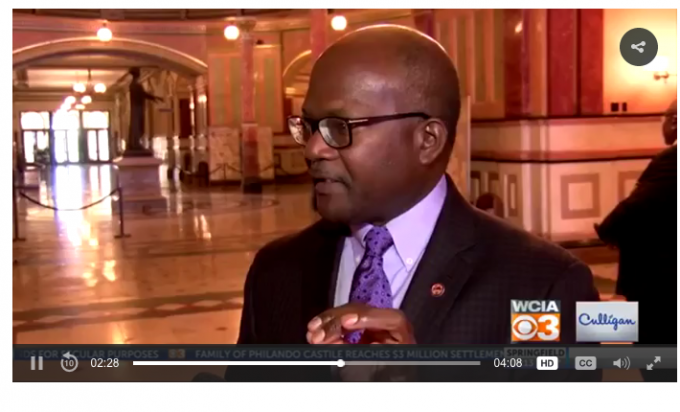 Governor Rauner urged the General Assembly to hammer out a budget deal, but instead, a number of Democrats spent considerable time during this special session hammering his administration’s competence on a number of key business deals. Over the weekend, the House adopted a bipartisan resolution ordering the Department of Central Management Services to halt the purchase of all state leases until the Auditor General can complete a full investigation into the 5-year, $2.4 million lease deal awarded to Climate Controlled Holdings, LLC. The company is part-owned by the son-in-law of Bill Cellini, a former Republican power broker convicted for corruption in connection with the Blagojevich scandal. The Senate takes up the resolution on Wednesday. On Monday, another bipartisan House committee grilled Michael Hoffman, the Director of CMS, for a 2015 contract to outsource the online registration of state worker’s health care plans to Morneau Shepell, a Canadian company. The state submitted a wildy inaccurate estimate for the cost of the project, shopping the business out to potential bidders as a $300 million workload. The deal was completed before Hoffman took office. After waiting just 26 days for competing bids, CMS signed a $94 million contract with Morneau Sheppell to begin work on the website. Lawmakers expressed concerns about the hurried timeline and the wildly inaccurate state estimate provided to prospective bidders. Hoffman testified to the State Government Committee on Monday that Aon Hewitt was among the small group of companies who considered placing a bid for the work. Aon Hewitt has offices based in Chicago and Linconshire, but Hoffman claims the company declined to submit a bid after reviewing the state’s requirements and estimated cost. Now, House Speaker Michael Madigan is demanding Governor Rauner surrender his legal power to direct the purchase of care of a massive Medicaid restructuring deal. The Rauner administration has already begun reviewing a number of bids from health providers seeking to win contracts as Managed Care Organizations. MCOs operate much like HMOs for Illinois’ Medicaid population, working to help schedule doctor’s visits and negotiate prices. Rauner’s appointed director of Healthcare and Family Services, Felicia Norwood, has testified the Medicaid overhaul would result in better care for the state’s Medicaid population at a more affordable price for taxpayers. Speaker Madigan and Comptroller Susana Mendoza have argued the bidding process should be subject to the oversight of the procurement process, calling it the largest procurement in state history.